Behind Richard Stratton’s face is an Australian first. You can tell that by his winning smile and a jawline that any Hollywood star would envy. 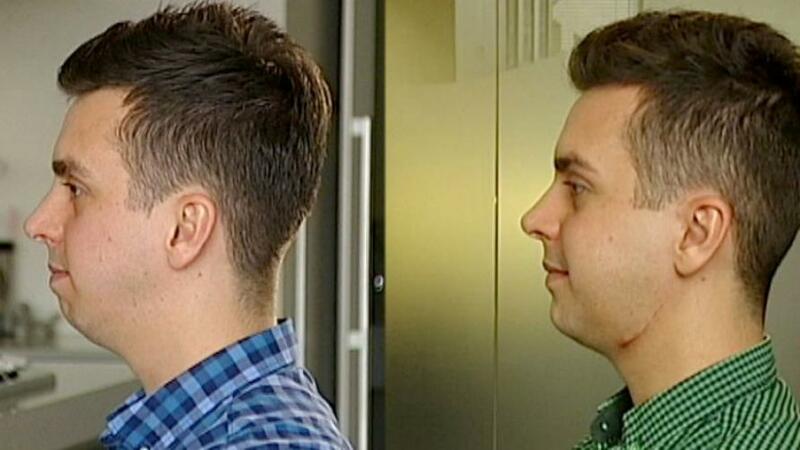 The 32-year-old has just been implanted with the first 3D-printed titanium jaw joint to be produced in Australia, a prosthesis that has vastly improved his quality of life and which is set to do the same for thousands of others. The answer, for the record, is no. 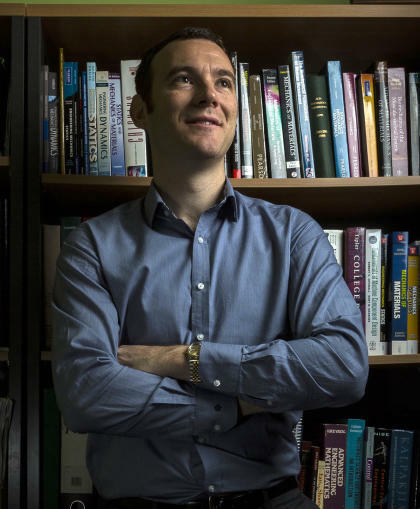 Richard, a psychologist who regularly travels for work, has tested it several times since the operation. He laughs at the airport questions now. But he becomes animated when talking about the impact the implant has had on his life, and how thrilled he is that many more people will benefit from the technology. That technology could revolutionise joint replacement surgery, by allowing the creation of fully customised implants that can be rapidly printed and fitted to patients. And it could create a lucrative export stream for Australia’s medical technology industry. The potential is huge. Richard had long lived with a crooked smile but developed problems only a couple of years ago. “I found that throughout the day I would get sharp pain, and it would hurt when I was eating. It was also really hard to open my mouth wide,” he says. Investigations revealed that his left condyle – part of the temporomandibular joint, or TMJ – was missing, putting enormous strain on the right side of his jaw. His dentist referred him to Dr George Dimitroulis, senior consultant maxillofacial surgeon at St Vincent’s Hospital in Melbourne and an honorary fellow (and alumnus) of the University of Melbourne. What happened next was the culmination of three years of research by Dr Dimitroulis and a team of engineers from the University of Melbourne’s Department of Mechanical Engineering, led by Dr David Ackland. For decades, patients needing a new TMJ – usually as a consequence of osteoarthritis, cancer or trauma – have had only two real options. The first is a custom prosthesis manufactured in the US, which requires an initial surgery that leaves the patient’s jaw wired together for 10 weeks while the joint is built, and an additional operation to implant it. The second is an “off-the-shelf” prosthesis, bulk-manufactured in standard sizes that the surgeon must adapt to fit. Dr Dimitroulis’ original sketch of a jaw implant, done in March 2012 when he first conceived the idea of a prosthetic jaw joint. So he did. He sketched out a new design, refined it over a few days, then took it to the University of Melbourne to see if they could use their engineering knowledge to help take it off the page and into production. Dr Ackland jumped at the chance to collaborate on the project. He had been developing computer models of the human body for some time, focusing most recently on the shoulder joint and how it behaved after total joint replacement surgery – how the muscles functioned, what stresses the implants could withstand and how to prevent the implant from failing. But the jaw was something new. 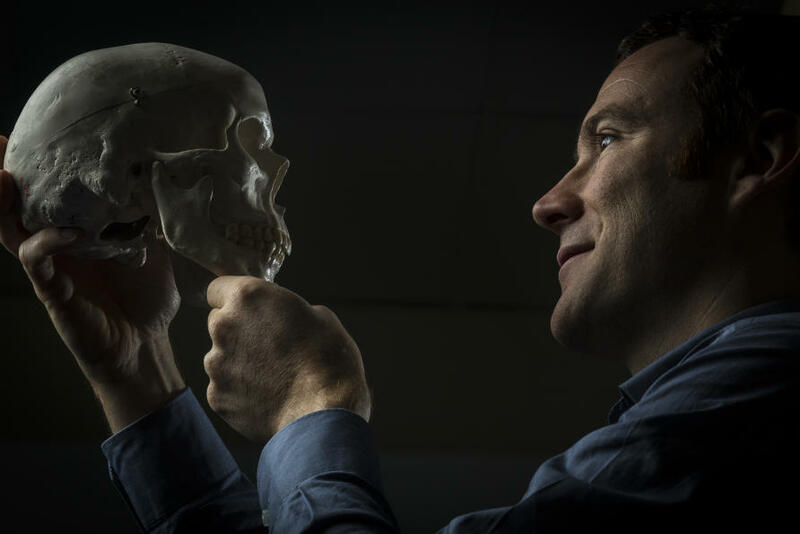 “We hadn’t done much work in the maxillofacial region before so we had to start from the very beginning and develop a new computer model of the human mandible, the maxilla and all the surrounding musculature,” he says. “The facial region is often overlooked in terms of musculoskeletal disease and the effect on quality of life. It’s a huge problem. People who have jaw joint osteoarthritis have a lot of trouble in biting and chewing and even the expression of emotion – smiling, for example. Over the next three years, Dr Ackland and his team – including some exceptional undergraduate engineering students – developed the computer model and worked with Dr Dimitroulis to engineer an entirely new jaw prosthesis and solve the issues associated with the existing implants. “We were guided by Dr Dimitroulis as to the major features that need to be included in the implant. Once we were happy with the size, the geometry and the engineering features, we were able to import it into our computer model through a virtual surgery, and then perform simulations to evaluate the loading and the functional performance of the implant,” he says. Crucially, Dr Ackland was able to ensure the joint would be able to cope with the strain of chewing and biting. “Fit is one thing but the loading during chewing is around 200 newtons – about 20 kilos of force – and a maximum bite can be close to 1000 newtons,” he says. The team was also able to design out one of the biggest problems with the old-style replacement joints – the risk of damage to the mandibular nerve. “The huge advantage of our approach is that we can actually change the design to conform to the anatomy of each patient so we can develop patient-specific solutions based on their pathology and their anatomy,” Dr Ackland says. Originally the plan was to have the prosthesis manufactured in an engineering workshop – a lengthy and expensive process. 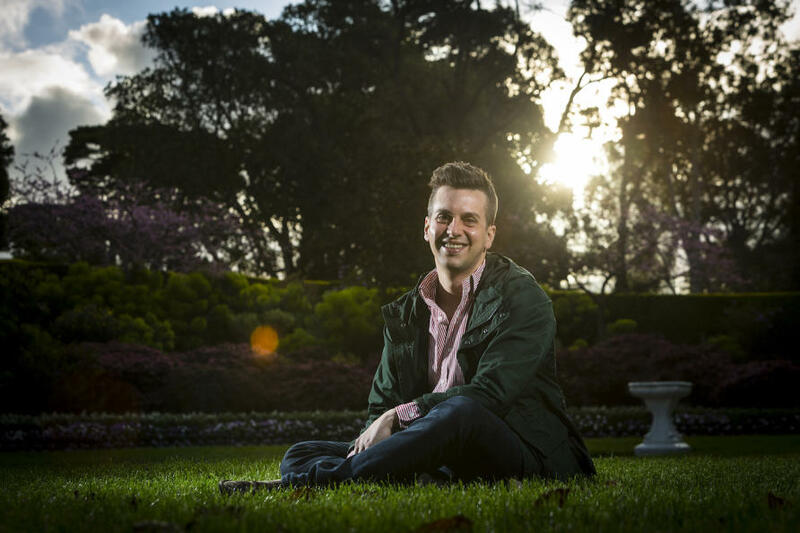 But just weeks before meeting Richard, Dr Dimitroulis had talked to Melbourne-based company 3D Medical and realised that 3D printing might be an option for the titanium and polyethylene implant. Not only was this process quicker, it was also much cheaper. Richard received his new TMJ in May. Before the day of surgery, the prosthesis had been thoroughly tested. The results from the computer modelling were good and a trial surgery, in which the jaw joint was implanted into a cadaver, proved it functioned well. Installing the implant into Richard’s jaw was quick and easy. “It just clipped in,” says Dr Dimitroulis. 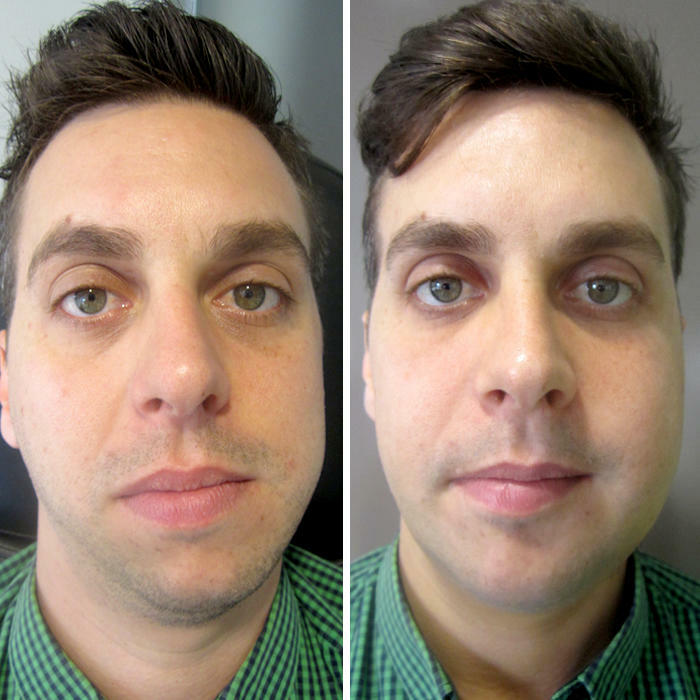 While the operation took five hours – longer than normal for a jaw joint replacement – much of that time was spent correcting the asymmetry in Richard’s face. Several months on, Richard is thrilled with the result. “The joint has been working really, really well. It really has improved my quality of life,” he says. He’s eating normally, chewing on both sides, and his night-time headaches have gone. And while function was foremost in his decision to go ahead with the surgery, he’s pleased that Dr Dimitroulis also took the opportunity to straighten his jawline. I have the jaw now that I was always meant to have. Dr Dimitroulis is also working on a full jaw implant that – unlike current prostheses which are usually fashioned from a section of the patient’s fibula (leg bone) – will be able to carry teeth. When ready, this new implant, designed for people who have lost their jaw bones through cancer, will be tested and refined by the University of Melbourne team. “At St Vincent’s we see cancer patients all the time and it is really sad to see them suffer the way they do,” says Dr Dimitroulis. 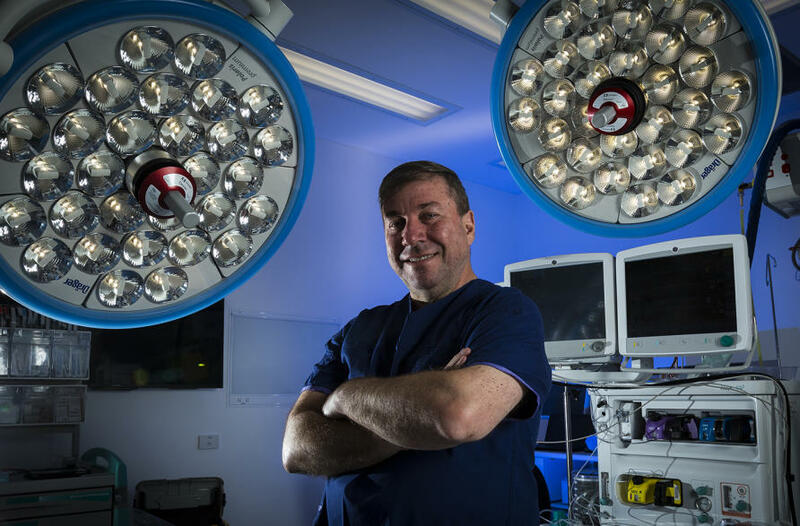 Dr Ackland says the unique blend of engineering, surgical expertise and 3D-printing technology could transform the way replacement joints are produced, not just in the maxillofacial sphere, but in orthopaedics in general. “We have an entirely new capacity to develop our own customised implantable components for patients with a wide range of bone and joint problems, ranging from osteoarthritis through to trauma, cancer and congenital abnormalities. The significance of the 3D-printed metal and plastic in Richard Stratton’s jaw is not lost on him. He hopes many others will benefit from the team’s research. “This one was so perfect for me and has improved my life but there’s so much further that the technology can go. I’m really excited to see what other joints and what other body parts they can print out,” he says. Researchers solve immunity puzzle in lung tissue and reveal previously unknown ‘immune cell circuitry’ as secret weapon in front line defence against Legionella. Even though the world has never had it so good, there is still much division and uncertainty. Professor Peter Singer discusses what it means for the future.